Wearable Tie Light from 1896 #WearableWednesday #History « Adafruit Industries – Makers, hackers, artists, designers and engineers! 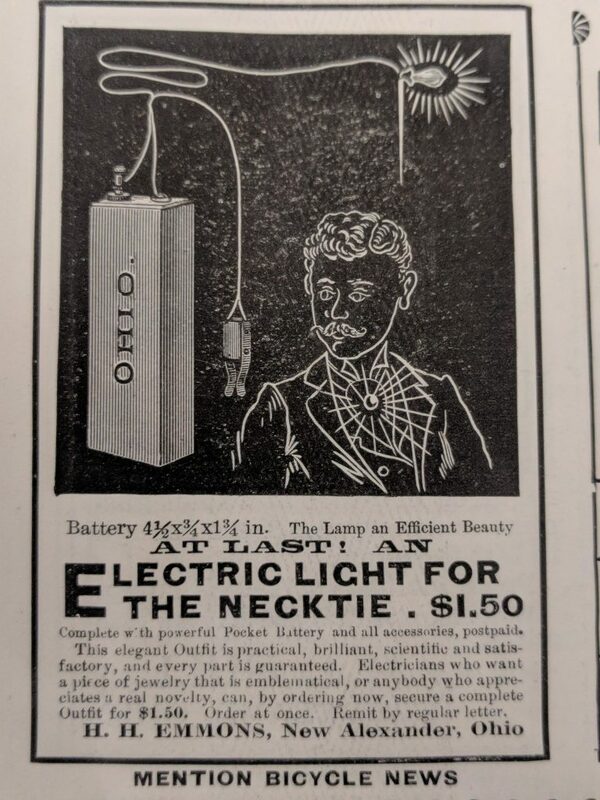 This advertisement for an “Electric Light for the Necktie” promotes a very early wearable. Adjusted for inflation the light would have run around $40.00, which actually seems pretty reasonable for cutting edge technology.